___ Official and Spoken Languages of European Countries. List of official, national and spoken Languages of Europe. Europe is a continent with many countries (about 50) and almost each country has its own language, known as the national language. Some countries have even more than one national language. At the fringes of the countries languages may overlap and used interchangeable, this means, people in the border regions of countries might understand and speak the language of the neighboring country. 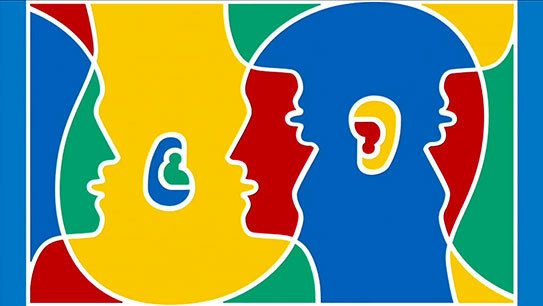 Is there a common language in Europe so that all Europeans can talk to each other? Eh, no, not really. There are Europeans who have learned Spanish, French, German, English, or even Latin as a second language, so they might be able to use it in the country where those languages are spoken. On the other hand, English is on the rise used not only in Europe as a lingua franca, escpecially by the younger generation of Europeans, even so France tried hard to protect its citizens from the unwanted influence of English on French (language) culture. However, the EU, the European union of 28 member states has 24 official languages, but in practice only two are used most often: English and French. Iceland Icelandic English, Nordic languages, German widely spoken. Spain Spanish (español - the Castilian version) 74%, Catalan 17%, Galician 7%, Basque 2% note: Castilian is the official language nationwide; the other languages are official regionally. Sweden Swedish (svenska) small Sami- and Finnish-speaking minorities. Vatican City State Latin, Italian French and various other languages.